Dr. CHEON Seong Whun is a visiting research fellow at the Asan Institute for Policy Studies. Dr. Cheon received his B.Sc. in industrial engineering from Korea University, M.Sc. in industrial economics from Stanford University, and Ph.D. in management science from the University of Waterloo, Canada. The subject of his Ph.D. dissertation was an analysis of arms control negotiation and verification. From 2014 to 2017, he was the Secretary to the President for Security Strategy at the Office of National Security of the Blue House (the ROK Presidential Office). Prior to this position, he had worked more than twenty years (1991-2014) at the Korea Institute for National Unification (KINU) and served in various positions, including senior research associate, research fellow, senior research fellow, and finally, the 13th president of the KINU. His research focuses on inter-Korean relations, North Korea policy and unification strategy, North Korean nuclear issues and arms control, international security and nuclear strategy, and mid-to-long term national strategy. He was a member of the Foreign Affairs and Security Bureau of the Presidential Council for Future & Vision and an expert member of the Foreign Affairs, National Defense and Unification Subcommittee at the Commission on Presidential Transition for the 18th ROK President. He has worked as a member of the Policy Advisory Committees for the Ministry of National Defense, the Ministry of Unification, the National Crisis Management Center at the Blue House and the National Unification Advisory Council. He also served as a board member for the Korean Political Science Association and the Korean Association of International Studies. He has been an editorial consultant for Radio Free Asia from 2000 to 2013. 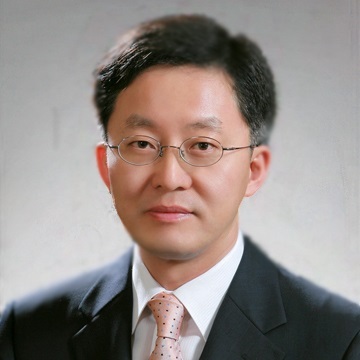 Dr. Cheon is the recipient of the Commendation of the President of the ROK in 2003 and has received awards for excellent research from the Korea Research Council for Humanities & Social Sciences in 2001, 2002, and 2003.